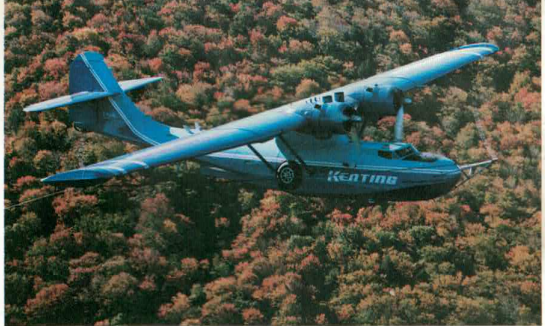 In the 1980s this Canso flying boat was photographed over the Gatineau Hills searching for ore deposits using a new electromagnetic system called SWEEPEM. Built in the 1940s to hunt submarines under the North Atlantic, the aircraft’s ability to flow low, slow and long was ideal for detecting metallic ores buried deep underground. I developed the signal processing and real time control software for SWEEPEM and operated the system aboard the Canso for the calibration flights. In this article written for Survey Magazine and published in 1985 I described the work.